Around 6:30pm after being canceled from an automatic alarm call, Station 11 was preparing to go upstairs when several people came to the station saying that there was a fire at the corner of Shrewsbury and Jefferson Highway. After pulling out of the station, heavy black smoke could be seen pouring from an old auto detailing shop. 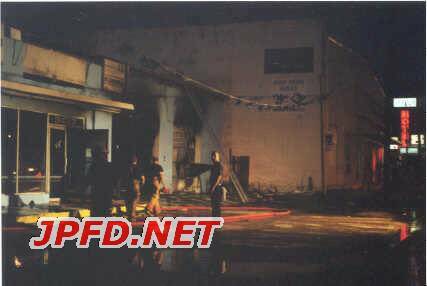 A one alarm assignment was called to the structure at 3427 Jefferson Highway. The extremely hot fire was knocked down after about 45 minutes.